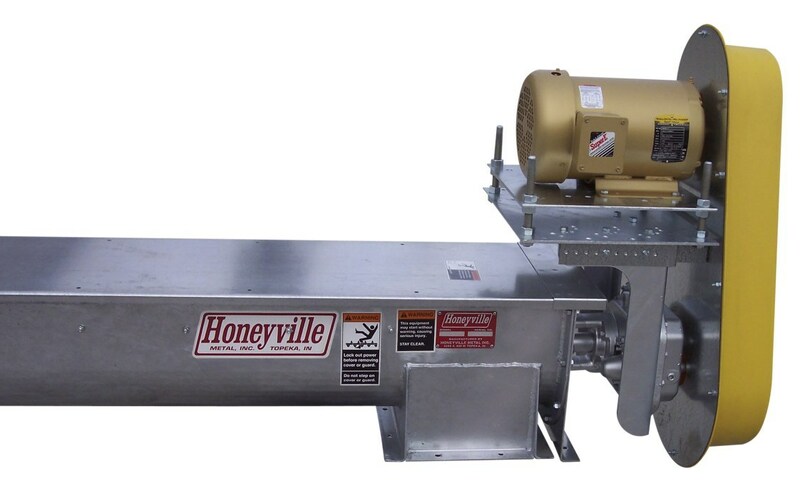 U-Trough Augers | Honeyville Metal, Inc.
Honeyville Flanged U-Trough Screw Conveyors are a product that has been put into our grain handling line to fill a niche where limited space is a problem. 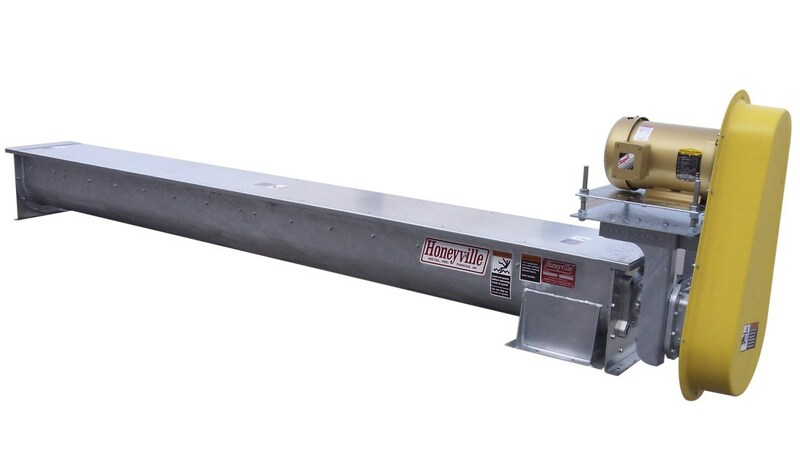 The U-Trough can be used in applications where you need to "force feed" a product that can't be done with a chain type convey system. 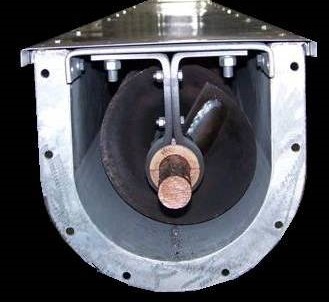 Flanges connectors: Pre-fitted and welded to the u-trough ends. Galvanized covers: Standard bolt on covers. Dodge Gear drives: Torque Arm II speed reducers with overhead motor mounts and belt guards. 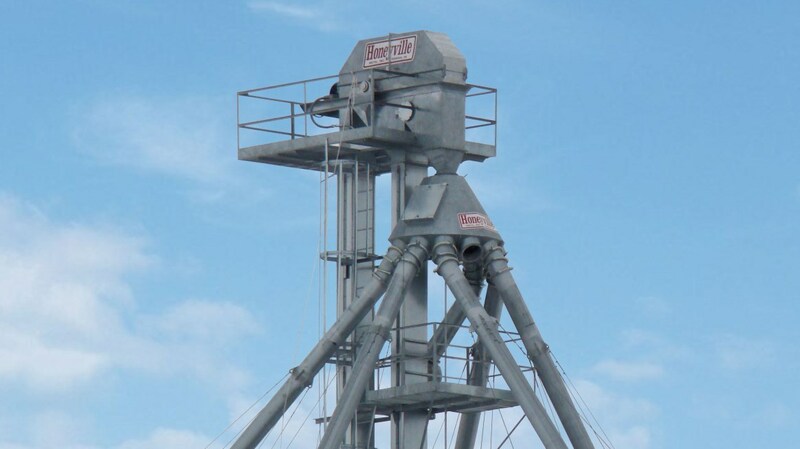 Motor mount options: Overhead, Left, or Right side mounts available. Screw options: Helicoid, Sectional, or shorter pitches. 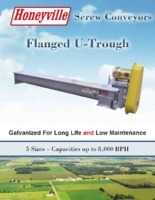 #226 Hanger Bearings: Options of Wood or Nylon designed for your specific application. 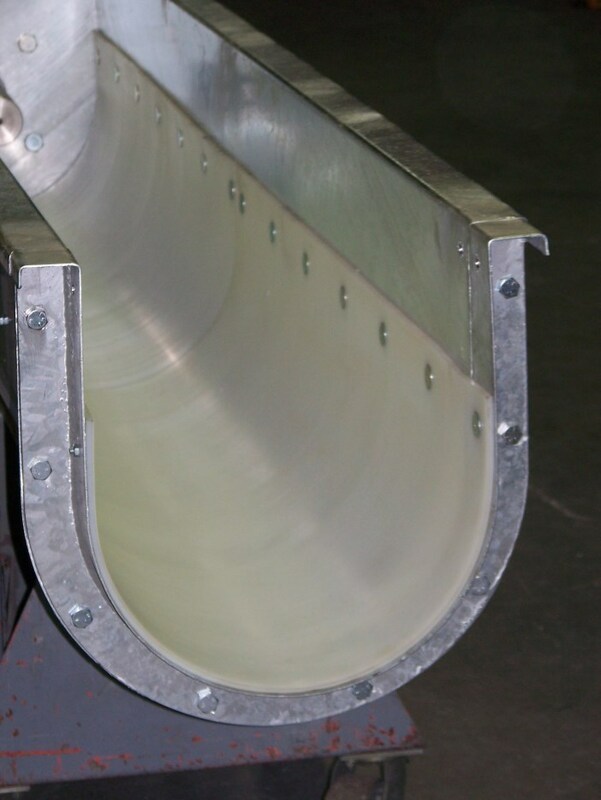 Trough section: Hot dipped galvanized after welding. See chart below for specifications.